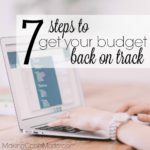 The biggest game changer for our budget was when we started using sinking funds. I cannot deny that. But if we already had sinking funds in place, switching from using our debit card to using cash would have been the biggest game changer. 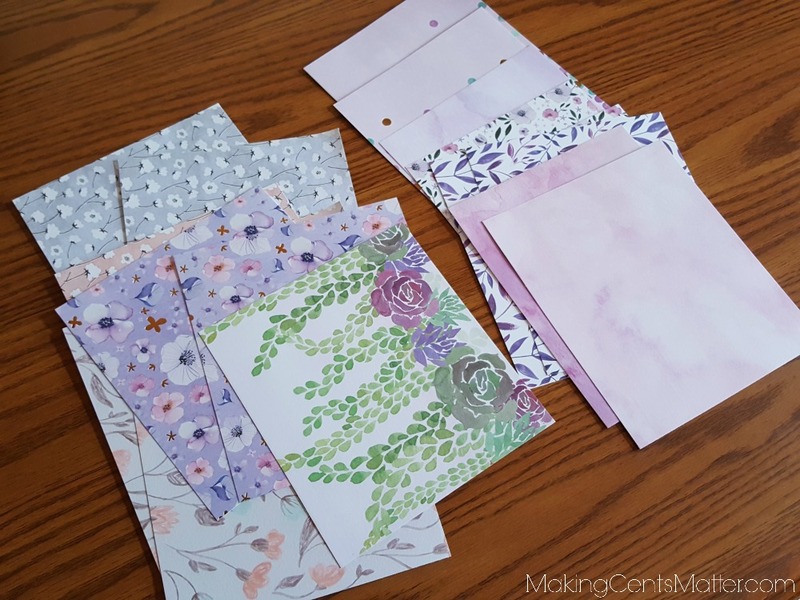 Today I’m going to show you how I made our cash envelopes from scrapbook paper. It was really easy to do, and the pretty designs help to keep your categories separated a breeze. Let me start by saying yes, I know that mailing envelopes are perfectly fine for using as cash envelopes. I use mailing envelopes to hold our house payment in before I drop it off at the bank for the sole purpose of it not getting all goobered in my bottomless purse. 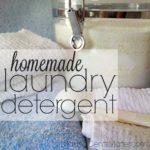 I’m also the crafty type that needs something pretty & functional so I will keep using it. 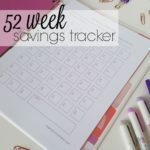 It’s why I keep using my budget planner. The more appealing it is to my brain, the more I’ll come back to it! But the sad fact is that I go through mailing envelopes pretty often, and I don’t send out a whole lot of mail. It honestly doesn’t take long before something gets goobered in my purse. 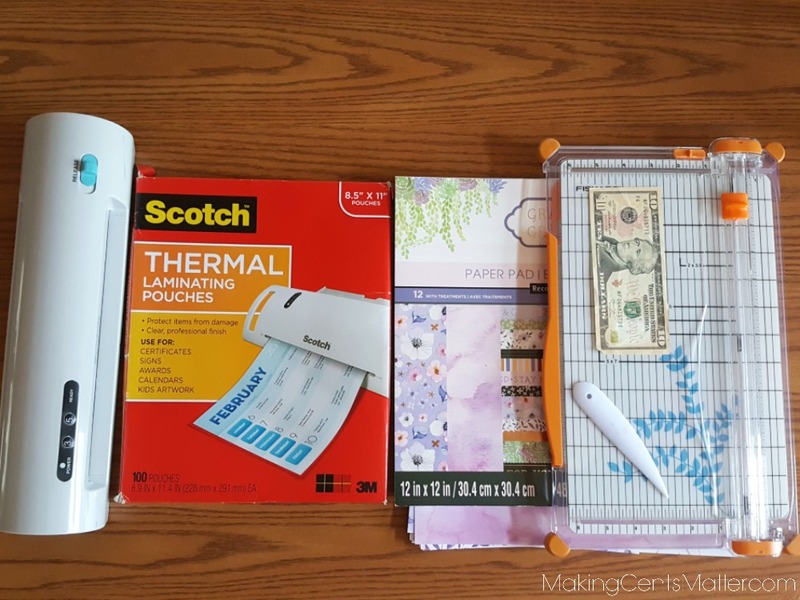 After looking for and testing out various alternatives, I decided to make my own cash envelopes that could fit in my wallet out of supplies I already had on hand. Bonus points since I didn’t need to buy anything extra! What I’ve noticed over the last few months of using them is that because they were laminated, they were outlasting the envelopes that only saw my house check once a month. Some of my cash envelopes have survived months of daily use, simply because they were laminated. 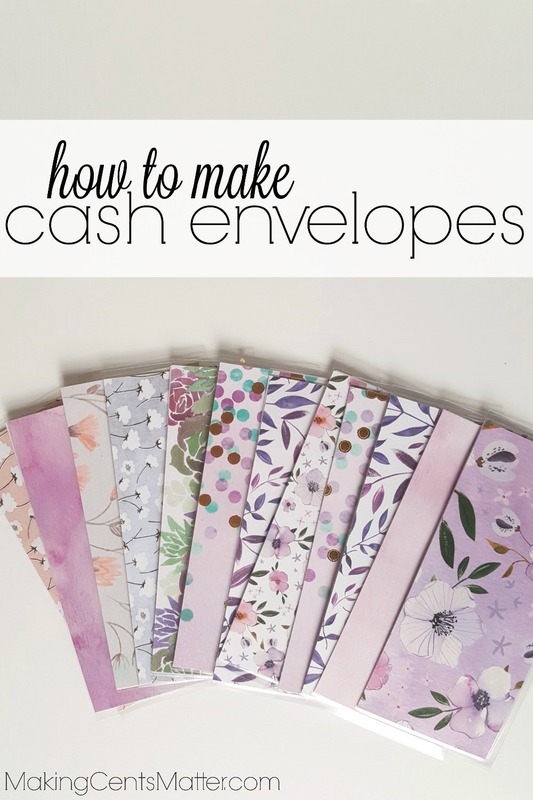 Here’s how you can make your own cash envelopes. 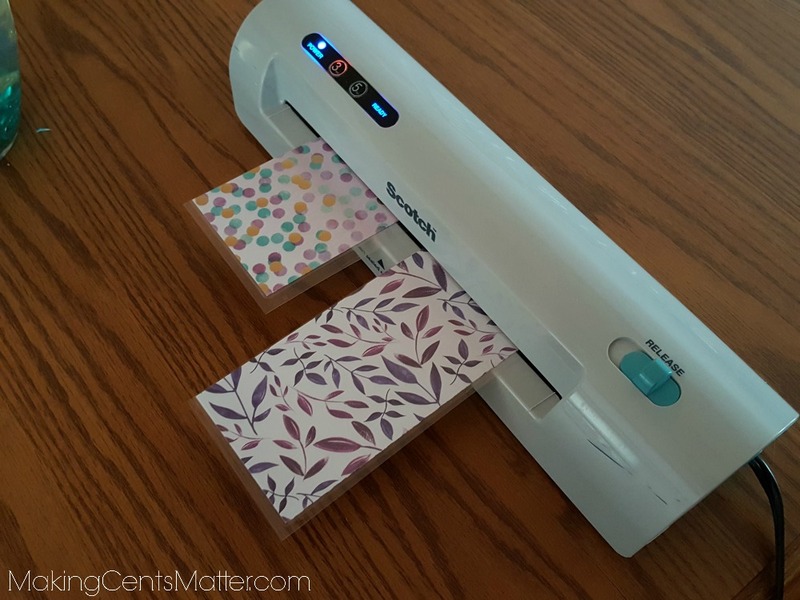 Start by warming up your laminator. 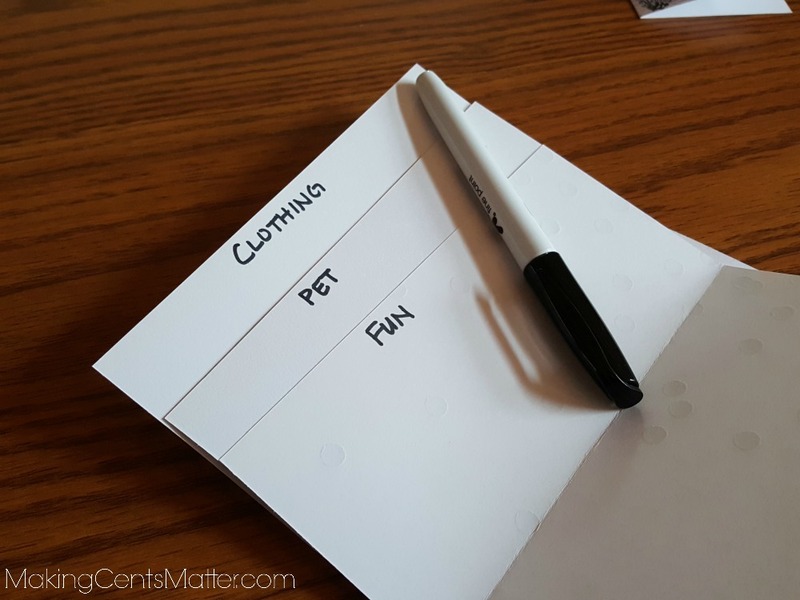 While it warms up, select the sheets of paper you’ll want to use. 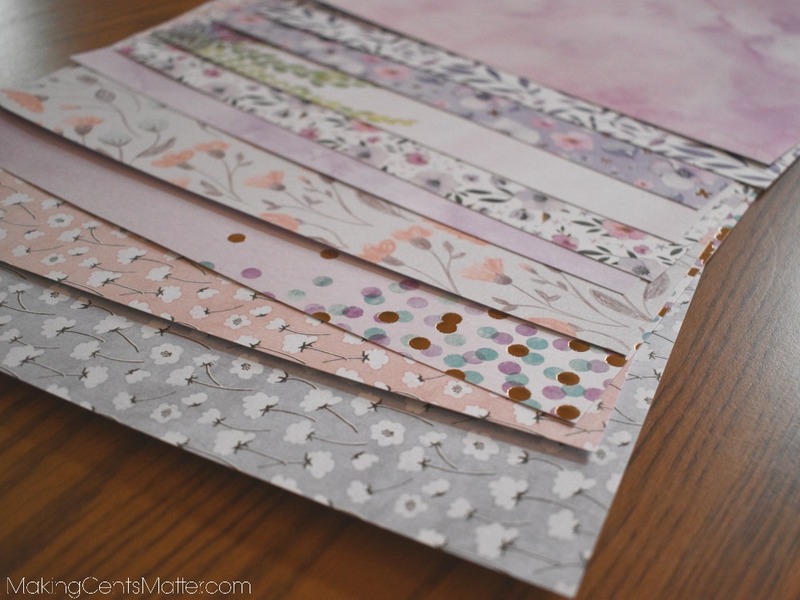 I used 12″x 12″ scrapbook paper from Michaels, and was able to get two envelopes out of one sheet. 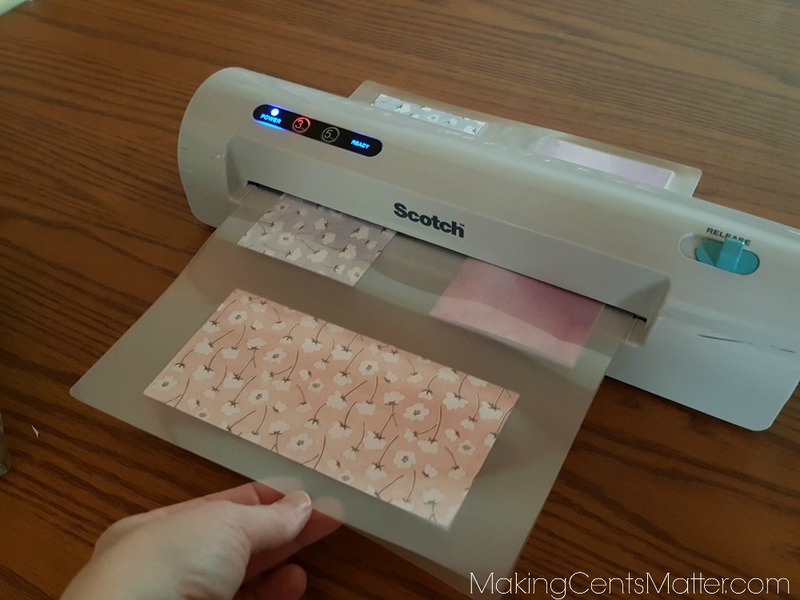 Using your paper trimmer, cut your scrapbook paper to be 6.5″ x 6″. 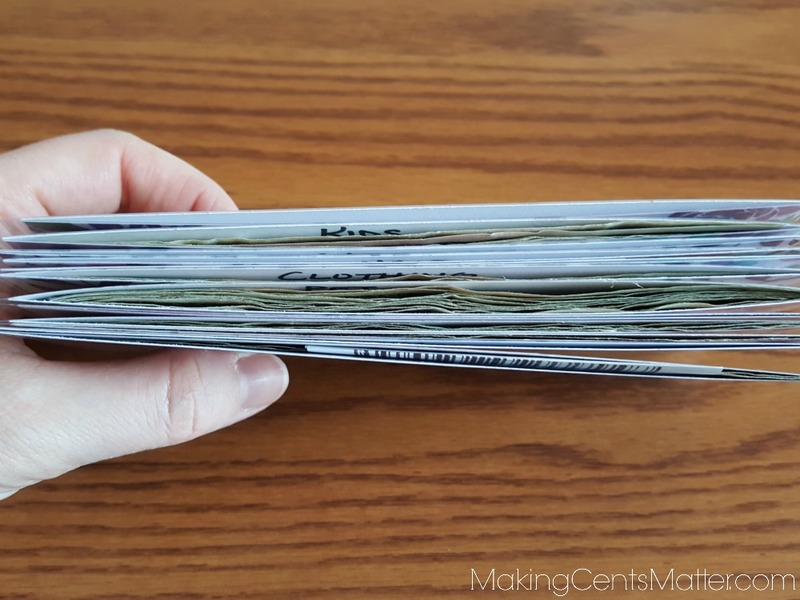 You could make your envelopes to be 7″ x 6″ to give a little more wiggle room around the cash, but I didn’t because 7″ didn’t fit in my wallet. Fold your sheet on half along the 6″ edge, and run the bone folder along that fold to give a nice crisp edge. Your folded sheet should now measure 6.5″ x 3″. 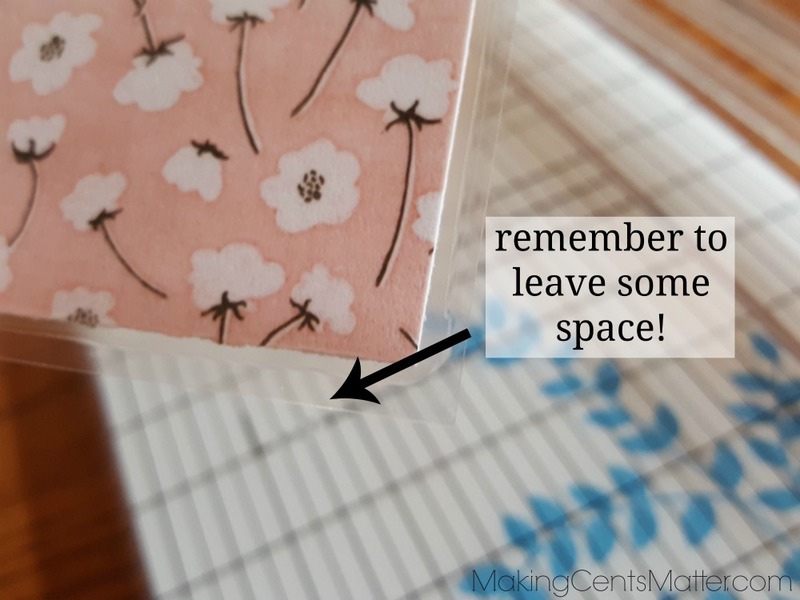 Using a pen or a Sharpie, label your envelopes. I labelled them on the inside after I tested the Sharpie on a piece of scrap paper to make sure they wouldn’t bleed through. 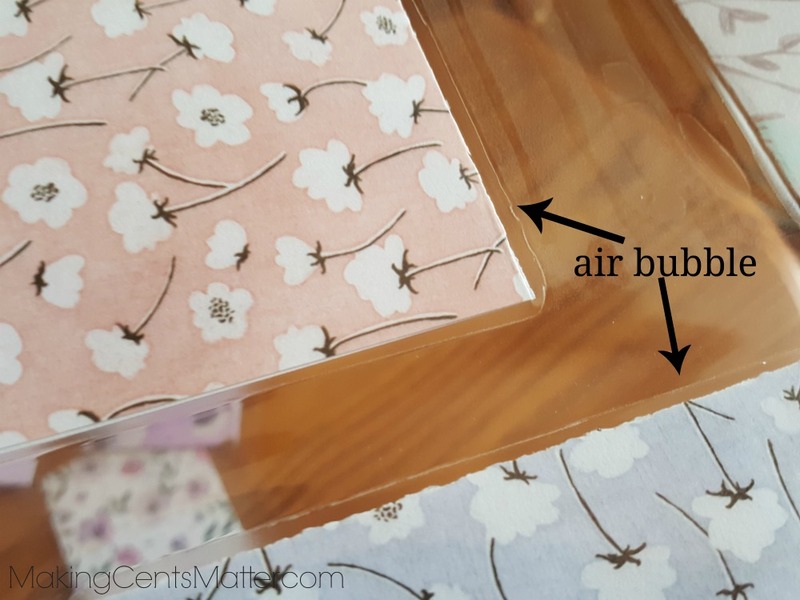 Place your envelopes on a laminating sheet; I can get three per sheet without overcrowding them, but also without wasting any of the sheet. I like to line them up so the opening is facing the outside of the sheet. You could do it so they’re all facing the inside, but either way you do it, you want to make sure you know exactly which way the fold is facing, and which way the opening is facing. Then run them through the laminator. 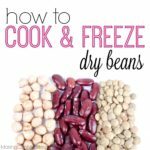 I prefer to run them through twice just for that extra hold. Cut the envelopes out, giving a decent gap between the air bubble left in the lamination, and the lamination. On the side that is your opening, cut right up to the edge of the paper so it will open. At this point, you could sent the envelopes back through the laminator one more time for good measure, but you don’t have to. 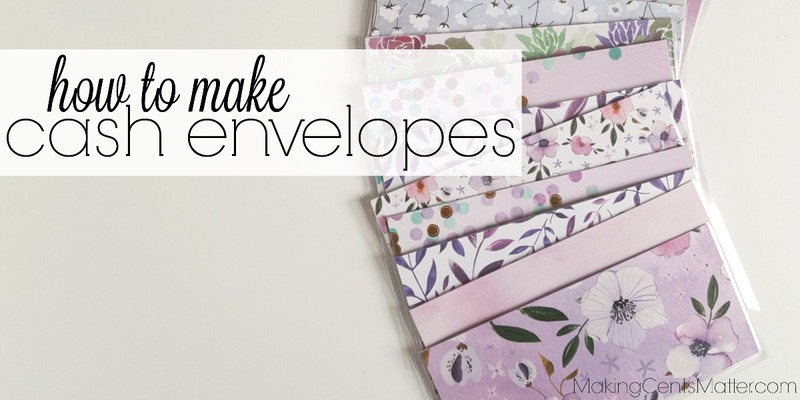 If your envelopes happen to separate, you can also send them through. 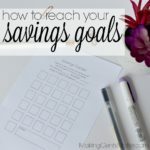 All that’s left to do is to stuff your envelopes with your cash! 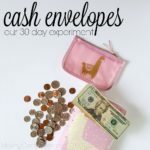 For more on how we started using the cash envelope system, check out this post on our 30 day experiment with cash, and be sure to check out my YouTube Channel where I update how our envelopes are going for the month during my weekly budget setups.